Annual Research Journal of SLSAJ 2011 edition is to be published in October 2011parallel to the Research Session of SLSAJ. 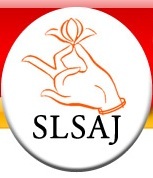 As of now, the current SLSAJ committee is intending to organise the Research session in the month of October 2011 which we will inform you as the dates are fixed and the Research Journal will be published on the same day during the event. Research papers accepted after the review and corrections process. Proposals focused on development of Sri Lanka. Practical applications/ implications in the form of a proposal which might be derived from your researches. As usual, all the papers will be evaluated by an assigned evaluation committee comprising of academic professionals from relevant streams. This year we are calling papers early with the intention of having a thorough review process and also to have time for appropriate changes to papers and proposals. Due to this new appearances in the e-formats, please avoid any copy right issues and related legal issues as ultimately this will be appearing online. Further, during the research session, the authors of published and selected papers will be given an opportunity to present your research/ proposal this time. Please collect the paper format attached herewith for your reference. It would be a great privilege for us to be a platform to take your valuable papers to general public. We hope all of you will give your fullest supports to make this a successful event.